The American Herbal Products Association (AHPA) is the only national trade association that is focused primarily on herbs and botanicals and herbal products. All of AHPA’s activities are focused on its mission, which is to promote the responsible commerce of herbal products and are undertaken to maintain and improve market opportunities for companies that sell herbs, herbal and botanical products, and other health-related products, including foods, beverages, dietary supplements, and personal care products, and to ensure that consumers continue to enjoy informed access to a wide choice of goods. Founded in 1982, AHPA is the oldest of the non-profit organizations that specializes in service to the herbal industry. It is the voice of the herbal products industry and the recognized leader in representing the botanical trade. With more than 300 members, AHPA’s membership represents the finest growers, processors, manufacturers, and marketers of botanical and herbal products. Americans for Safe Access (ASA) and Americans for Safe Access Foundation (ASAF) share the mission of ensuring safe and legal access to cannabis (marijuana) for therapeutic uses and research. ASA works with our grassroots base of over 50,000 members to effect change using public education and direct advocacy at the local, state, and federal level. ASAF trains and educates patients, advocates, health care professionals and other stakeholders. ASAF also provides direct legal support and uses impact litigation to protect and expand patients’ rights. Today’s legal cannabis industry employs more than 100,000 Americans, many of them in high-tech agricultural jobs, as well as manufacturing, distribution and retail. Roughly two-thirds of Americans now live in states where some form of cannabis is legal, and polling consistently shows over 70% of Americans support letting the states make their own cannabis policy… and the federal government not interfering when they do. The Canadian Medical Cannabis Industry Association (CMCIA) is Canada’s leading member-driven association for Licensed Producers (LPs) of medical cannabis. We represent over 50% of producers currently licensed under the Health Canada’s Marijuana for Medical Purposes Regulations, in force as of April 1, 2014. The Hemp Industries Association (HIA) is a non-profit trade group representing hemp companies, researchers and supporters. We are at the forefront of the drive for fair and equal treatment of industrial hemp. Since 1992, the HIA has been dedicated to education, industry development, and the accelerated expansion of hemp world market supply and demand. Law Enforcement Against Prohibition (LEAP) Founded on March 16, 2002, LEAP is a 501(c)3 nonprofit organization made up of current and former members of the law enforcement and criminal justice communities who are speaking out about the failures of our existing drug policies. Those policies have failed, and continue to fail, to effectively address the problems of drug abuse, especially the problems of juvenile drug use, the problems of addiction, and the problems of crime caused by the existence of a criminal black market in drugs. Welcome to the Marijuana Industry Group. MIG was founded in 2010 by cannabis business owners and supporters who wanted to help craft Colorado’s earliest medical marijuana regulatory framework. 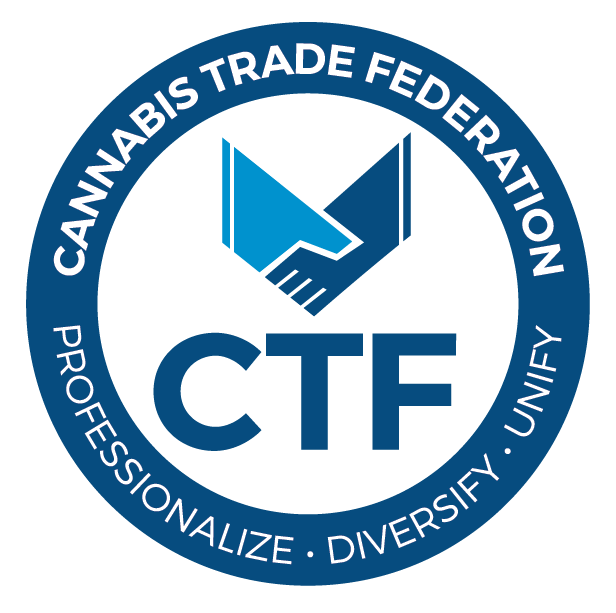 MIG is the oldest and largest trade association for licensed cannabis businesses. Comprised of approximately 400 licensed businesses, MIG has strong leadership at the board and staff level and contracts with a number of consultants to provide leadership in state and local lobbying, government affairs and strategic communications. Our teams not only have strong relationships with the governor’s office and regulatory agencies, but we work at the local level in Denver, Boulder, Pueblo, Colorado Springs to name just a few, and the list is growing. MIG represents the interests and advocates on behalf of the rapidly evolving needs of the regulated marijuana industry in Colorado. We have a reputation of working with state and local regulators and policymakers to solve issues facing the industry. The National Cannabis Industry Association was founded on the principle of power in numbers. The thousands of American businesses involved the state-legal cannabis industries represent a tremendous economic force in this country. As the industry’s national trade association, NCIA works every day to ensure our growing business sector is represented in a professional and coordinated way on the national stage. The National Hemp Association is dedicated to the re-birth of industrial hemp in America. We are a mission-driven non-profit which helps connect farmers, processors, manufactures, researchers, investors and policy makers to accelerate the growth of this important industry in the United States. The Organic Cannabis Association (OCA) is dedicated to creating and implementing rigorous organic standards for the production of legal cannabis, promoting quality industry professionals and educating the public. As leaders in sustainable agriculture, we have spent years working hand in hand with growers to advance socially responsible and environmentally sound business and cultivation practices. What goes into the plant – and ultimately into the consumer product no matter how far removed from plant form – requires the same thoughtfulness and careful consideration as what goes into our food, water and air. Our work here is closely reflective of our mission and values; to provide farmers of the 21st Century with sustainable solutions to grow consciously. With three states approving full recreational legalization, and over twenty-five states already allowing medicinal cannabis, the time has come for a credible body to provide professional growers with the tools to produce a high quality, organic crop worthy of being held above others, and the standards to tenably label their products as such. Let’s learn from the mistakes of industrial agriculture and grow something we can all be proud of. The OCA is non-profit organization and all donations are tax deductible. Project CBD is a non-profit educational service dedicated to promoting and publicizing research into the medical utility of cannabidiol (CBD) and other components of the cannabis plant. It was conceived in 2010 by two journalists who had been covering the medical marijuana story – the science, the movement, and the industry – in the pages of O’Shaughnessy’s, the journal of cannabis in clinical practice. They felt that the reintroduction of CBD-rich cannabis into the grassroots supply merited special attention. The serendipitous reappearance of whole plant CBD has given doctors and patients a unique opportunity to evaluate the effects of cannabidiol.